Dota 2 officially came out of the beta version on 9th July 2013. Ever since its player base has only seen an increase every year. This is very much because of the fact that numerous people have seen dota as a means of becoming rich while having fun. Dota 2 was the first game to offer a tournament where the winning prize was 1 million US dollars. Back in its time, this was something astronomical for the players and the world went ablaze because of Dota. 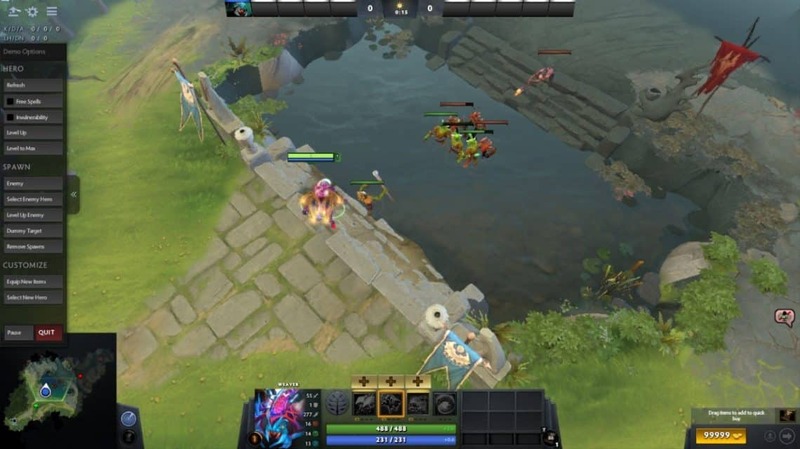 People from all the world started taking Dota seriously and all the great players tried their hand at the tournament and only one team of 5 people came out victorious. The tournaments only got bigger and more luxurious every year as the biggest prize pools had reached around 25 million US dollars. Dota is now closing in on its sixth year and is not showing any signs of slowing down anytime soon. Where to download Dota 2 from? Since Dota 2 is a game that is actively supported on Steam, we will certainly use the official way to download it. If you have ever gamed on a PC then you obviously know what Steam is. For those of you who have just entered the PC gaming industry, Steam is the place you would go to buy digital games and sometimes software as well. There is no competitor to Steam when it comes to its sheer dominance in the market. From providing a stable place to play online games with your friends or finding those classic retro console games, Steam definitely has it all and is not shy to show it off. 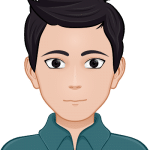 We always check for hardware requirements of a game but never bother to check the software requirements, as in the supported operating systems of the respective game. This is because we are trained to play on a Windows computer but that needs to change now. A lot of games are not supported on operating systems other than Windows and you do not want to purchase a game only to find out that you cannot run it. A way to make sure that you only search for Linux based games is by typing ‘Linux’ into the search bar. Since Dota 2 is free to play, there will not be a price next to the Play Game button. This means that it can be downloaded for no fee and be ready to play. 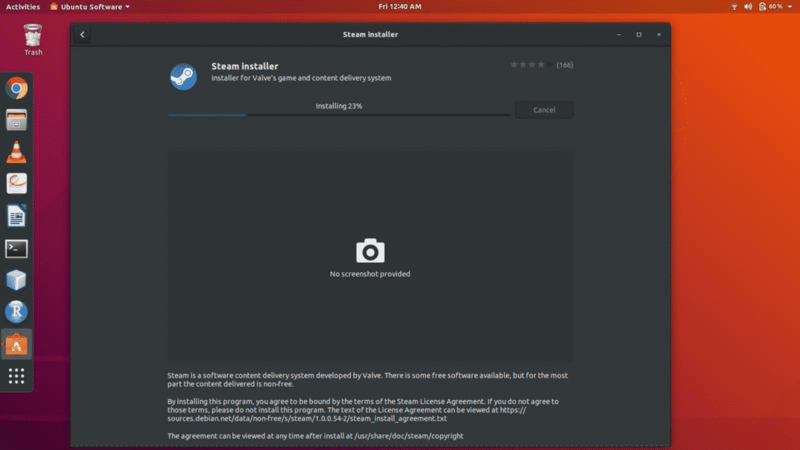 The first way to install Steam is by using the Ubuntu software center. Open the software center up and search for Steam, you can’t miss it. Do that and pretty soon you will be able to download games to your machine. On the very first start-up of Steam, you will be greeted by an update screen. This screen makes sure that the Steam client is up and ready for the latest version. The next step into getting into Steam is to enter our login information into the username and password fields that show up and press enter. 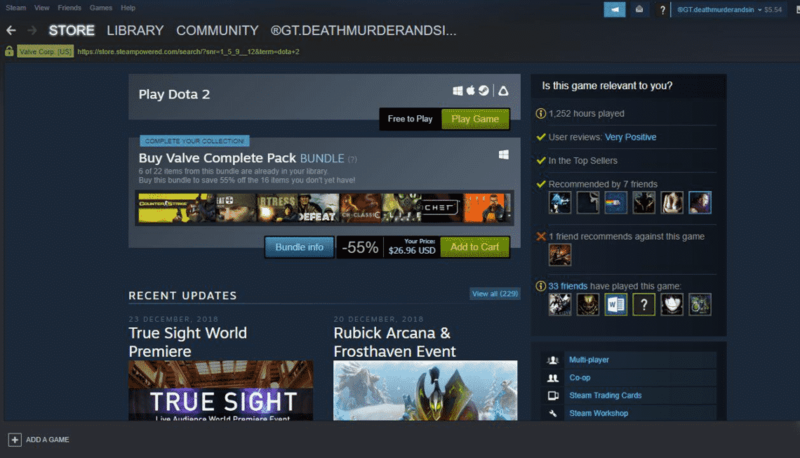 Steam will then verify the information you entered and upon confirmation, take you to the homepage. 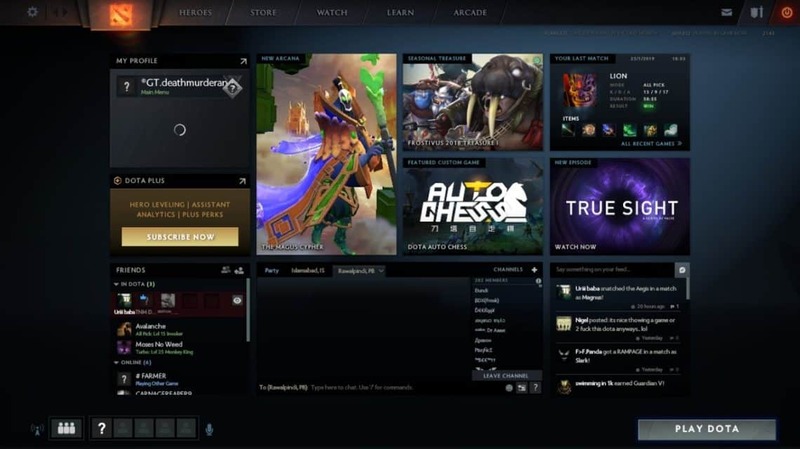 To download Dota 2, click on the big bold ‘STORE’ button on the top left of the screen. From there, you can see a search bar. Use it to find Dota 2. It will be a bit below the toolbar which you clicked ‘Store’ on. Apart from the game, there can be many related items available in the store that might show up. Click on the game entry in the list and proceed to the main page of the game. From there, you can see a ton of information on the game such as reviews, system requirements and trailers etc. The beauty of Steam is that it makes everything so easy. When you have put a game on download, you can completely forget about it until it is done. Steam will simply give you a notification that your download has completed and will let you get to it at your own will. There will be no rush to do anything about it or make adjustments whatsoever. During the whole process of the download, you can continue to use your system fully. The only thing that you should be careful about is not to put something else on download at the same time that could divide the download speed. If it’s outside of Steam, Steam won’t give any warnings about it and simply make do with reduced download speed. By default, Steam pauses downloads whenever you play a Steam game when it is downloading something. This is a very helpful feature as it takes away the troublesome method of pausing a download and then going into the game you are playing. This feature is especially useful because it also removes any unwanted lag you might feel from the downloads that are taking place. This feature is helpful in online games and can be disabled in offline games where there is no internet usage. This allows the downloads to resume in the background without affecting your gaming experience. 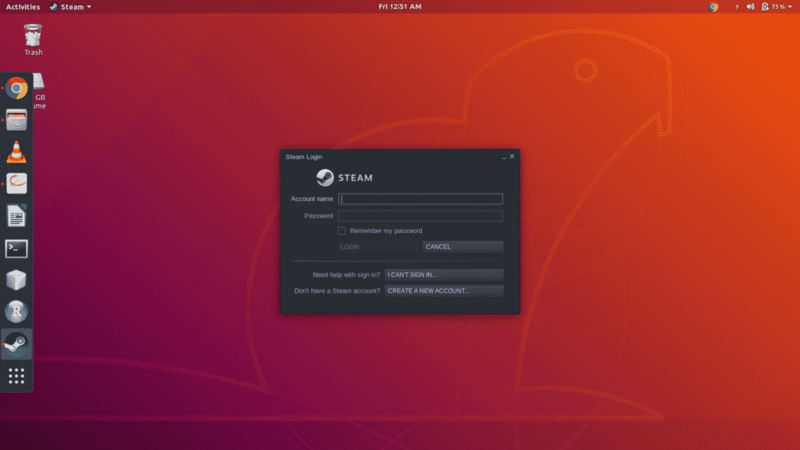 Once the game has successfully downloaded on Steam, you are all set to play it on your Ubuntu system. Enjoy an uninterrupted and smooth gaming experience by following the aforementioned method.